I hope you all had a lovely Mother's Day. Here is the Baseco bag that I made for my mother for mother's day. 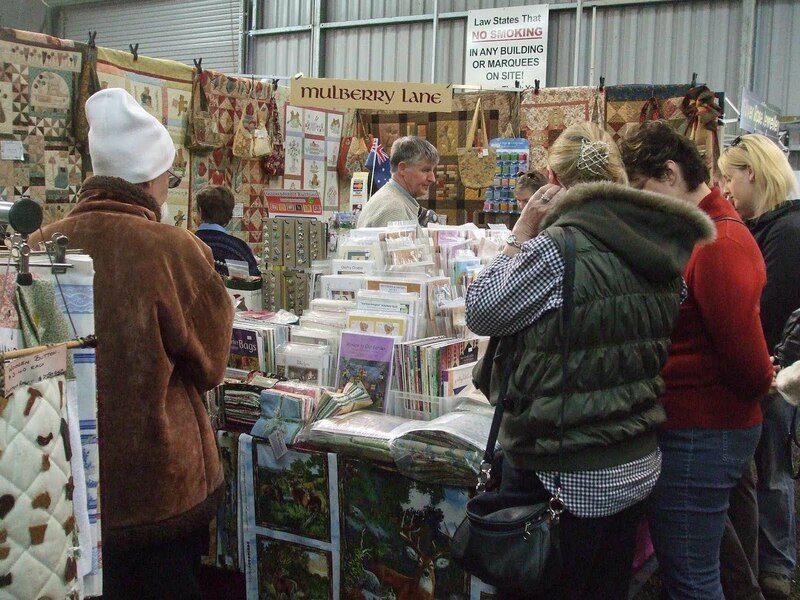 Last Friday Mr MC and I took a road trip to attend AGFEST in the North of the state. As you can see from the photographs there was lots of variety and inspiration. 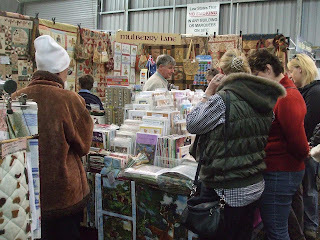 Also a few quilting supply stands - This one was the Village Quilter. 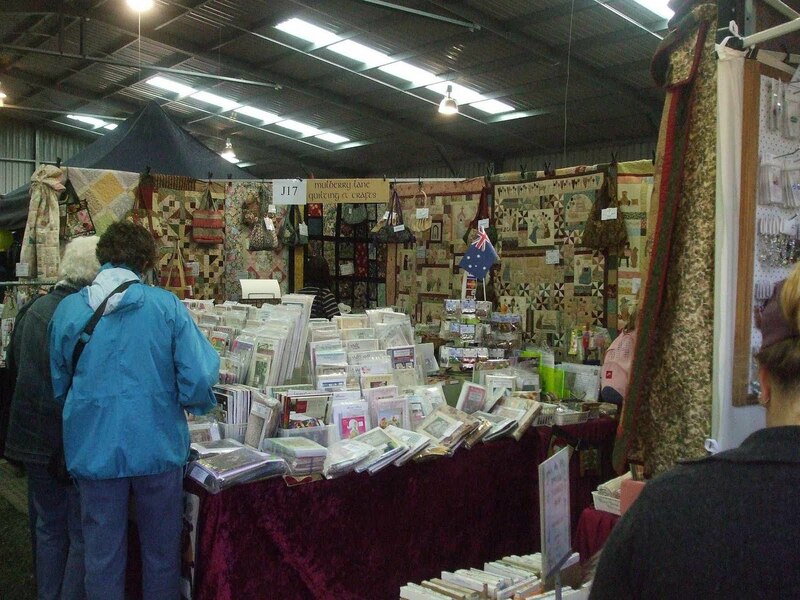 Which had lots of quilts on display ! 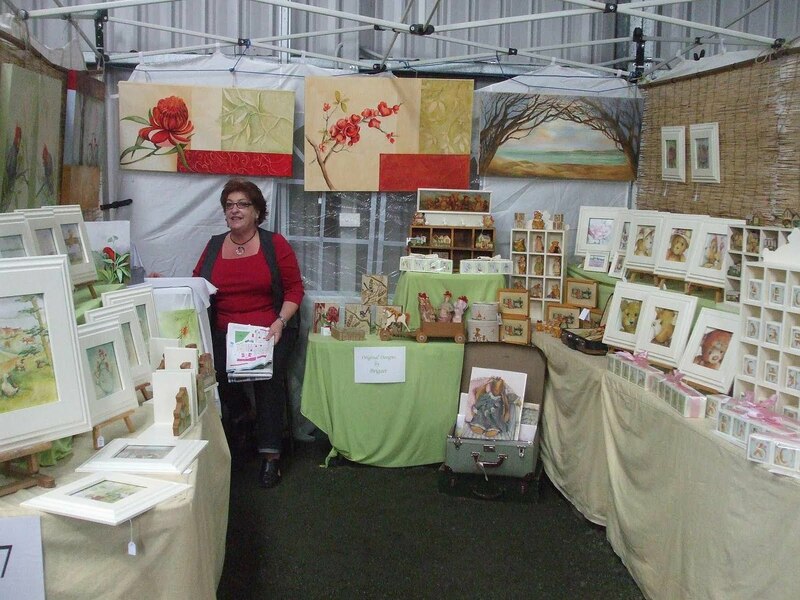 And here was my favourite stand "Brigart"
This extremely talented lady is from Geelong in Victoria and she paints ! Boy does she paint !! 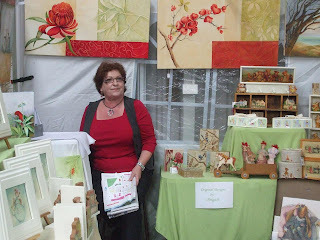 A lot of her paintings are made into prints and then made into things. 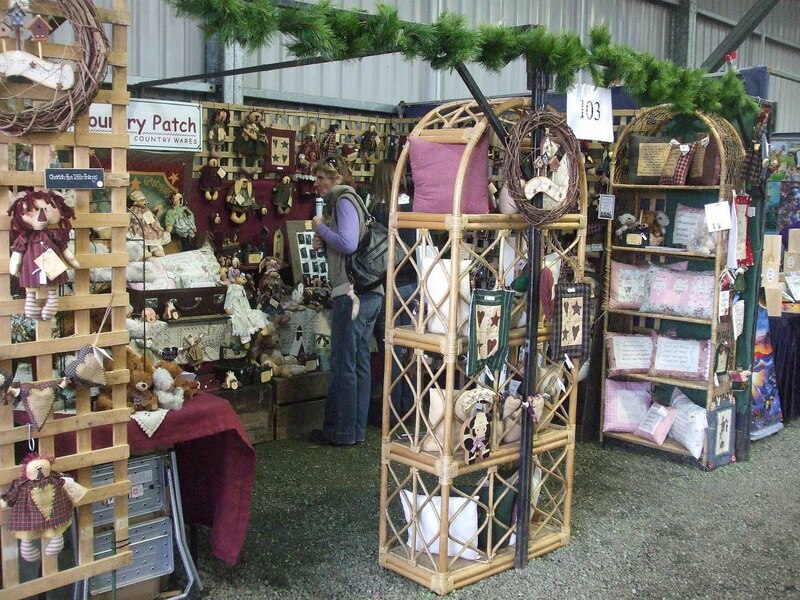 I purchased a few things from her including a gorgeous little wooden house which says "Grandma's House" - I will show that to you another time. I have encouraged her to start a blog to show the world her amazing talent. 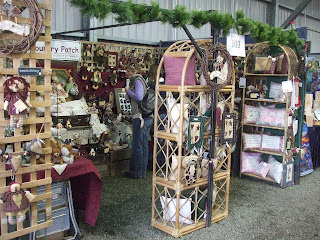 It is almost the weekend again and I have planned to finish a few projects I have been stitching each night. Do you have anything special planned this weekend? BC's last day at MRT on Friday, we have a relaxing weekend planned and my Monday RDO together. He starts at GCC on the 24th! Smashing bag for your Mum:-) Love looking at all your pictures;It is an adventure going to quiltshows. 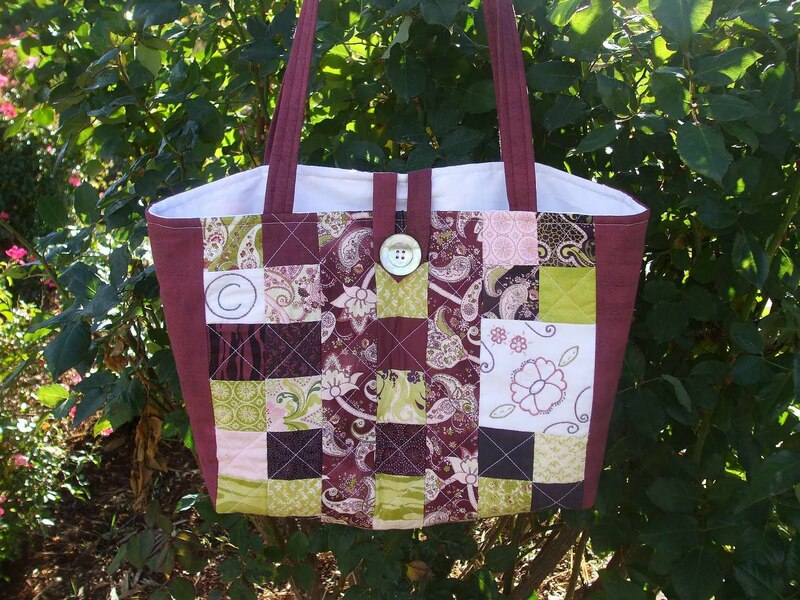 Love the "Eva" bag you made for your mother. 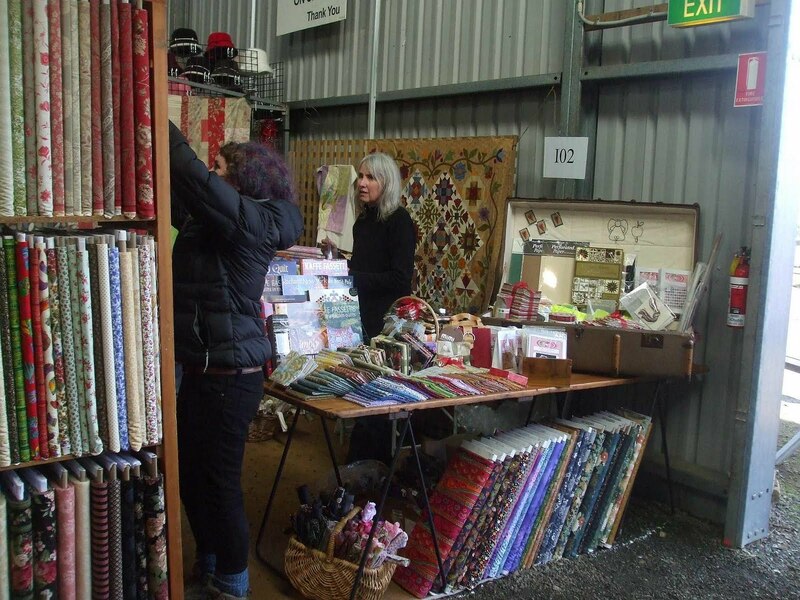 I have a bit of that fabric in my stash. Your photos look wonderful, great weekend :) so jealous lol..
oh fiona...wish I had known..I was there on friday as well...buggar!!!! we had a fun day too...its a great day out..
A great bag - can pack a lot of things in there for a trip to a quilt show. Thanks for sharing the pictures - it was interesting to see. Great bag you made for your Mum. Love your colours. I used Black/white and red. Enjoyed going to the expo with you. 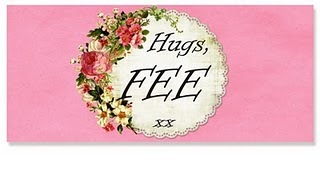 Love your Mum's bag Fee.... doesn't it look fabulous in the "Eva" fabrics :o). The AGFEST looks t'riffic too, I love that lady's paintings ... so beautiful, especially the one in the top right corner ... wow!!! 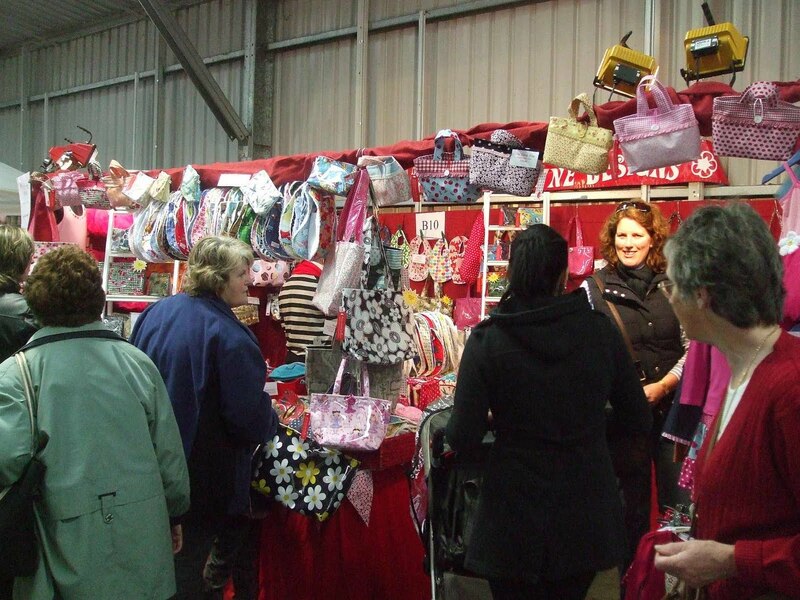 Lovely bag Fiona, and oh that AGFEST looks fun!!!!! Your mum`s bag looks great, it`s in my colours so if she doesnt like it send it over to me. Looks like you had a great weekend as well so time to rest before some more creating. 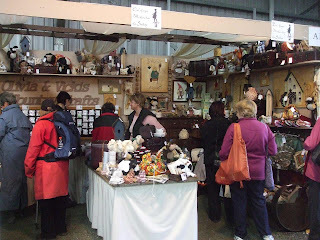 You are right...that woman's booth is wonderful! I would have loved to see her paintings!